Below are the articles authored by Elaine Aron and her collaborators. An overview that includes related articles by other authors is in the 2012 PSPR review below. As that becomes out of date you can find the latest articles by searching PsychInfo for “sensitivity” or “sensory processing sensitivity” as well as related ideas such as “biological sensitivity to context” and “orienting sensitivity.” She also plans to keep this list updated, but it will not be fully inclusive of every article about or related to sensory processing sensitivity. Acevedo B, Aron E, Pospos S, Jessen D. (2018), Review: The functional highly sensitive brain: a review of the brain circuits underlying sensory processing sensitivity and seemingly related disorders. Philosophical Transactions, B 373: 20170161. Acevedo, B. P., Jagiellowicz, J., Aron, E., Marhenke, R., & Aron, A. (2017). Sensory processing sensitivity and childhood quality’s effects on neural responses to emotional stimuli. Clinical Neuropsychiatry, (6). Pluess, M., Assary, E., Lionetti, F., Lester, K. J., Krapohl, E., Aron, E. N., & Aron, A. (2018). Environmental sensitivity in children: Development of the Highly Sensitive Child Scale and Identification of Sensitivity Groups. Developmental psychology, 54(1), 51. Bianca P. Acevedo, B., Aron, E., Aron, A., Sangster, M., Collins, N., & Brown, L. (2014) The highly sensitive brain: An fMRI study of sensory processing sensitivity and response to others’ emotions. Brain and Behavior, 4, 580-594. Aron, E., Aron A., and Jagiellowicz, J. (2012) Sensory processing sensitivity: A review in the light of the evolution of biological responsivity. Personality and Social Psychology Review,16, 262-282. Abstract is online and free. Full text can be gotten through subscribing or if you have a link to an academic library. Jagiellowicz, J., Aron, A., & Aron, E. N. (2012). Relationship between the temperament trait of sensory processing sensitivity and emotional reactivity. Social Behavior and Personality: an international journal, 44(2), 185-199. Aron, A., Aron, E., Jagiellowicz, J., Xu, X., Cao, G., Feng, T., & Weng, X. (2010) The trait of sensory processing sensitivity and neural responses to changes in visual scenes. Social Cognitive and Affective Neuroscience, 6, 38-47. Aron, A., Ketay, S., Hedden, T., Aron, E. N., Markus, H. R., & Gabrieli, J. D. E. (2010) Temperament trait of sensory processing sensitivity moderates cultural differences in neural response. Social Cognitive and Affective Neuroscience, 6, 38-47. Aron, E., The clinical implications of Jung’s concept of sensitiveness, Journal of Jungian Theory and Practice, 8, 11-43. Aron, E. N., Aron, A., & Davies, K. (2005). Adult shyness: The interaction of temperamental sensitivity and an adverse childhood environment. Personality and Social Psychology Bulletin, 31, 181-197. Aron, E. N. (2004). 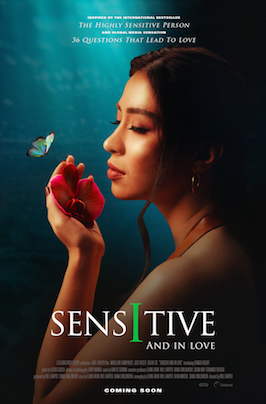 Revisiting Jung’s concept of innate sensitiveness. Journal of Analytical Psychology, 49, 337-367. Aron, E. N. (1996). 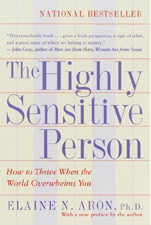 Counseling the highly sensitive person. Counseling and Human Development, 28, 1-7. Aron, E. & Aron, A. (1997). Sensory-processing sensitivity and its relation to introversion and emotionality, Journal of Personality and Social Psychology, 73, 345-368.
response to positive experiences. Psychological Bulletin, 139, 901-916. Belsky, J. & Pluess, M. (2009). Beyond diathesis stress: Differential susceptibility to environmental influences. Psychological Bulletin, 135, 885–908. Belsky, J. et al. (2009). Vulnerability genes or plasticity genes? Molecular Psychiatry, 14, 746-754.